Whether an intimate dinner for a small group or a huge party for 300 guests - be serve every celebration individually and personally. Culinary delights are also provided for: our kitchen team led by award-winning star Chef Andreas Mayer fulfills every wish. 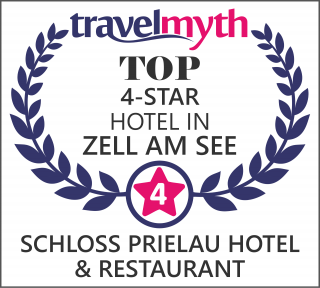 Schloss Prielau offers accommodations for up to 24 guests: 7 double rooms, 2 suits and the fishing lodge apartment. You can rent the castle exclusively so all premises will be available just for you and your guests. Anette Mayer, hostess at Schloss Prielau, organizes and accompanies every event at Schloss Prielau wih commitment and love to details.